Elizavecca Milky Piggy Hell-Pore Vitamin Brightturn Peeling Gel - Sweet Beauty Reviews: Korean Skincare and Beauty. Hola, sweeties!! :D Cómo están? Hoy les tengo la última reseña de Elizavecca, y qué mejor que cerrar con este peeling que me ha gustado mucho y ahora es de mis favoritos. Saben que tengo mi piel mixta y mis mejillas muy sensibles, es por eso que este tipo de productos me encantan. Me ayudan a mantener la piel limpia y no me irritan, sino que exfolian suavemente. Espero que les guste la reseña! Hello, sweeties! :D How are you? Today I have the last review of Elizavecca, and there's nothing better than close with this peeling that I liked a lot and is now one of my favorites. You know that I have combination skin and my cheeks are very sensitive, that's why I love these types of products. They help me keep my skin clean and do not irritate me, but gently exfoliate. I hope you like the review! - Elimina las células muertas y la suciedad de la piel todos los días. - Limpia los poros gentilmente. - Tipo gel que cuando toca la piel se convierte en un peeling suave. - Contiene manzanilla, extracto de loto de nieve y acetato de tocoferilo, por lo que es suave y refrescante después de su uso. - Gets rid of dead skin cells and waste. - Gently cleans the pores. - It is a gel type, but it touches the skin and turns into a moist peeling gel! - It contains chamomile, snow lotus extract, and tocopherylacetate, making it soft and refreshing after its use. Análisis completo de los ingredientes en Skincarisma AQUÍ. 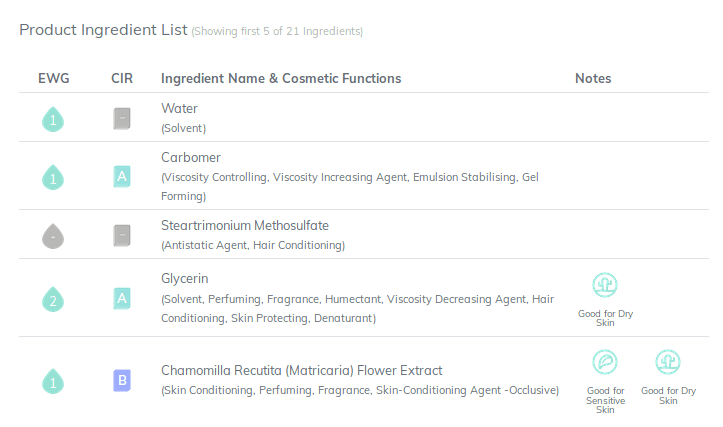 Full ingredients analysis from Skincarisma here. La verdad es que al principio tenía un poco de recelo con este producto por el análisis de ingredientes, ya que contiene 3 ingredientes que son un poco peligrosos para las pieles sensibles: aceite de limón, ácido cítrico, isopropyl alcohol. Pero para mi sorpresa resultó un producto bastante suave y efectivo. Algo que me gusta de los peelings es la sensación de limpieza después de usarlo. Les cuento que lo usé de varias formas y la que mejor me funcionó fue aplicarlo después de mi limpieza facial con el rostro seco e inmediatamente empezar a frotar por zonas. Este peeling no es completamente líquido, sino que es un gel que en contacto con el aire y con la piel empieza a secarse y a hacerse tenso. Si lo aplicas en todo el rostro de una sola vez vas a sentir cómo se seca y hace tu piel tirante, entonces es más difícil de frotar y enjuagar. Entonces aplico un poco de producto en mi frente y froto, luego en mi barbilla, mi nariz y al final mis mejillas. Entonces enjuagamos. Lo gránulos que salen después de frotar son en parte el mismo producto que se seca, suciedad de la piel y células muertas. Pero seré sincera con ustedes, creo que no hay algo más satisfactorio que un peeling que conforme vas frotando se siente que deja tu piel limpia, iluminada y sin suave. 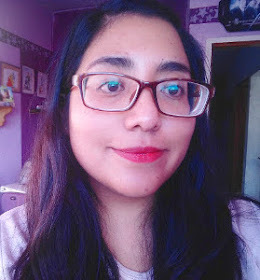 Después de uso mi piel hasta parece que cambia de color, jaja. Queda iluminada, limpia, suave y bien bonita. Lo mejor de todo es que no me ha causado reacciones, ni irritación ni resequedad, yo creo que es porque permanece muy poco tiempo en mi piel y el producto se enfoca en limpiar y desaparecer, así que realmente no penetra pues se convierte en moronitas al instante. 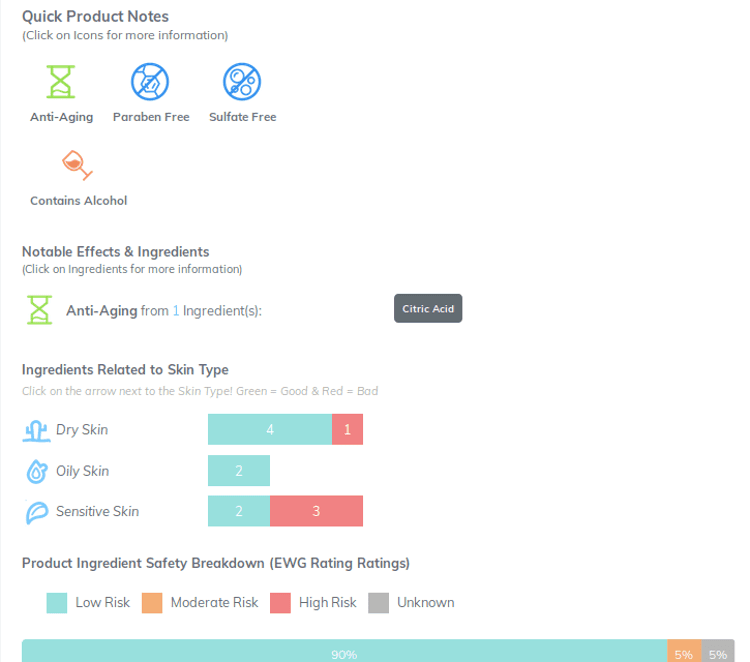 The truth is that at first I had a bit of apprehension with this product for the analysis of ingredients, as it contains 3 ingredients that are a little dangerous for sensitive skin: lemon oil, citric acid, isopropyl alcohol. But to my surprise it turned out to be a very smooth and effective product. Something I like about peelings is the feeling of cleanliness after using it. I used it in several ways and the one that worked best for me was to apply it after my facial cleansing with a dry face and immediately start rubbing in areas. This peeling is not completely liquid, but it is a gel that in contact with the air and with the skin begins to dry and to become tense. If you apply it all over your face in one go you will feel how it dries and makes your skin tight, then it is harder to rub and rinse. I apply a little product on my forehead and rub it, then on my chin, my nose and finally my cheeks. Then rinse.The granules that come out after rubbing are partly the same product that dries, dirt from the skin and dead cells. But I will be honest with you, I think there is nothing more satisfying than a peeling that as you rub you feel that leaves your skin clean, bright and soft .After using it my skin seems that it changes color, haha. It is brightened, clean, soft and very beautiful.The best thing of all is that it has not caused me any reactions, irritation or dryness, I think it is because it stays very little time on my skin and the product focuses on cleaning and disappearing, so it does not really penetrate, it becomes granules instantly.I know I already said it, but for me peeling is the best option to exfoliate and clean sensitive skin because even pads or chemical exfoliants in their very constant use can irritate the skin, while a peeling once or twice a week keeps my skin clean. In addition, it contains enough product and 12 months of use. Me gusta mucho. Tiene un aroma fresco a limón y es tipo gel, lo que facilita su aplicación. Inmediatamente después de su uso se siente la piel limpia, suave e iluminada. No me ha causado ninguna reacción negativa y usándolo 1 o 2 veces por semana no me ha irritado ni he tenido ningún brote. Es un peeling bastante suave y efectivo. Además es una buena cantidad que me durará bastante. CALIFICACIÓN: 9/10 Puede que los ingredientes que son un poco peligrosos para las pieles sensibles les puedan ocasionar alguna reacción, aunque yo no he tenido ninguna y no sé si sea posible que eliminen esos ingredientes. Todo lo demás del producto me gustó. Puedes encontrar este producto en la tienda de Elizavecca AQUÍ. ¿Cuál es su peeling favorito? ¿Cómo exfolias tu piel? I like it a lot. It has a fresh lemon scent and is gel type, which facilitates its application. Immediately after use, the skin feels clean, soft and brightened. It has not caused any negative reaction and using it 1 or 2 times a week has not irritated me or had any breakout. It is a very gentle and effective peeling. It is also a good amount that will last me a lot. RATING: 9/10 Ingredients that are a bit dangerous for sensitive skin may cause some reaction, although I have not had any and I do not know if it is possible to eliminate those ingredients. I liked everything else about the product. You can find this product in Elizavecca's website here. Which is your favorite peeling? How do you exfoliate your skin?